Hey, young bloods! 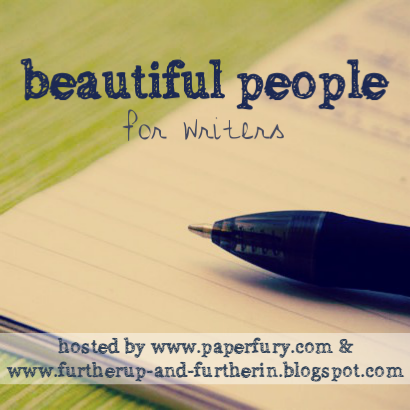 Today I'm linking up with Sky and Cait for Beautiful People, a monthly character showcase for writers! This month, I'll be sharing one of my favorite characters - Aleuna, the ten-year-old sorceress from my fantasy WIP series. ".....But mother rarely ever had guests, other than sewing circle folk. The last time was months ago, when it was Aleuna’s birthday and her mother had invited over the Abners, the daughter of whom, Petunia, she had thought Aleuna should be friends with. Aleuna most certainly did not think she should be friends with Petunia Abner, who was a sis and a brat, and so she had dumped a whole bowl of blackberry pudding on her head. For that she had earned a vigorous spanking, but she conceded it was worth it." ALEUNA'S SASS GIVES ME LIFE OKAY. Without further ado, let us get on to the questions! 1. What first inspired this character? Is there a person/actor you based them off? Tiffany Aching was the original inspiration for Aleuna a long time ago, but since then she's definitely evolved into her own character. 2. Describe their daily routine. Aleuna is currently training to be a sorceress in Agealan, the Sorcerers' Tower, so she usually wakes up pretty early, does meditation with Forwind (her mentor, an old sorcerer who meditates for two hours every morning and evening), has breakfast, studies for most of the day, has dinner, and goes to sleep. If she has free time, she spends it exploring the tower. 3. If they joined your local high school, what clique would they fit into? Well, Aleuna's only ten, but a teenage Aleuna would definitely be in the smart-kids group - Aleuna loves learning new things, and she'd probably join groups like the Science Bowl and International Club. Crisaya Aldernoth, the sorceress who originally takes Aleuna from her home to Agealan. In Aleuna's eyes, Crisaya is often very rude and arrogant, and although Aleuna has never actually dumped Crisaya's head in a bucket of boiling water, she has very often daydreamed of doing so. Sonatas and symphonies. She'll listen if others around her are, but she finds them dreadfully boring. Strong drinks. Aleuna's favorite beverage is milk, and she doesn't like drinks with really strong flavors, alcoholic or not. 5. How do they react in awkward silences? Aleuna has a giant imagination, and her own mind is her second home. So if she reached an awkward silence in a conversation, she'll probably wait around for the other person to respond for a little bit, then retreat into her own brain. 6. Can they swim? If so, how did they learn? Yes, she can. Her mother though it would be an important skill for her to have, so she taught Aleuna in the creek by their house when Aleuna was around five. 7. What is one major event that helped shape who they are? Definitely going with Crisaya to Agealan. The decision to become a sorceress led to so many eye-opening and fantastic experiences that will totally shape her as she gets older. 8. What things do they value most in life? Aleuna values kindness quite a bit. She thinks that if only people were kind and level-headed and practical, the world would be a much happier and safer place. She thinks people who put their pride above harmony are very stupid, and she looks down her nose at them. 9. Do they believe in giving other people second chances? Do they have any trust issues? Being only ten, Aleuna tends not to mistrust people unless they do something to her first or she is told not to trust them. Depending on the severity of the offense, she believes in cautious and wary second chances. 10. Your character is having a rough day...what things do they do to make them happy again? Is there anyone they talk/interact with to get in a better mood? If she were at home, she would spend time with Alphie, her best friend. She might also convince her mother to make homemade vegetable bread - her favorite. But as she's currently in Agealan, she instead will go to Forwind and talk to him. Besides being mentor and student, they're also very close on a personal level - to Forwind, Aleuna is the granddaughter he never had, and to Aleuna, Forwind is the only sorcerer who doesn't marginalize or demean her because of her age. So, let's chat! What are your favorite characters, either ones you've written or other people have? Comment below, and have a lovely day. Aleuna sounds like an awesome character! I love all my characters. They are my babies lol. But I have to say that I'm really loving to write Bumble Bee, aka Finn from my anti hero story. She's sarcastic, insane and really badass. Ahhh thank you! Same man same. I simultaneously dread and delight in putting them through extreme pain. BADASS CHARACTERS HURRAH! Finn sounds awesome. So sassy, I like her already. I was brought here by Paper Fury. Your character sounds so cool. Training to be a sorcerous? You can't go wrong with that. Ooh, she's such a feisty, awesome sounding character. Also, I love the fact that she's only ten. Most people, when they write about sorcerers and magic users, usually like to make them considerably older. This is so refreshing! OMG she sounds so amazing and sassy. Also, I love her age. I mean, I was an idiot at ten, but it's really cool to have a ten year old sorceress. Most sorceresses are just femme fatale characters, but Aleuna sounds awesome and original! Awwww, Aleuna's a sweetie! I like how she's smart, curious, and a bit of a daydreamer. And I couldn't help but chuckle about the "look her nose down" part about pride over harmony. Not because of what she values (because I value it as well), but because of how it's worded. ;) And fantasy - yes please! This sounds v cool. 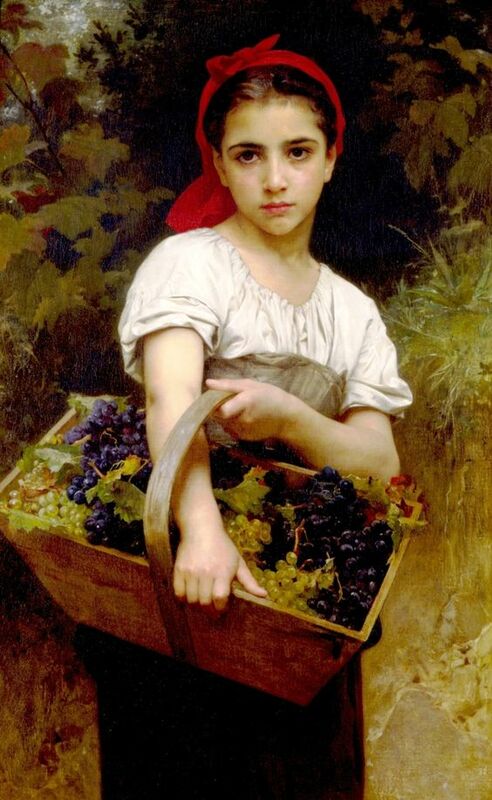 Child characters can be so interesting in a world of teenage MCs. Is your book YA or MG (or even, dare I say it, adult?)? I enjoyed the snippet RE the pudding. Don't we all know people like Petunia. Kudos to her for having the guts to dump said pudding! ~ Emily @ Ink, Inc.
Aw! She sounds sweet! The beverage quirk is an interesting one. I haven't heard of that before. Best wishes writing her!